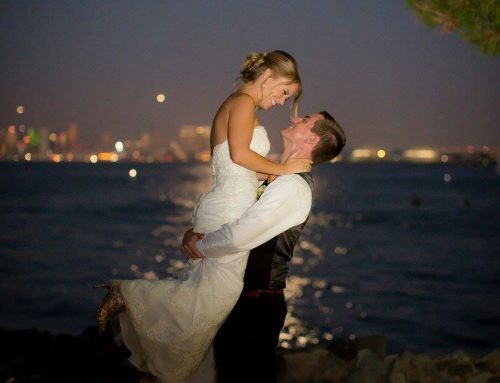 Allison and Pat’s fall Scripps Seaside Forum wedding was full of romantic touches. Their details (I mean…look at these shoes–I LOVE these) were all so well-thought out and heartfelt. In lieu of a beach ceremony, their ceremony took place at a neighboring church in Bay Park. Following the ceremony, guests were shuttled back over to the Scripps Seaside Forum and treated to a bourbon bar for cocktail hour. This gave the newlyweds, their bridal party and their talented photographer Allie Lindsey tons of time to get some great shots. One of the things that continues to surprise us is the multitude of backdrops the Forum has. Because we work at the venue so frequently, we know quite a few:) But, new photographers show us different backgrounds and perspectives that we just love! 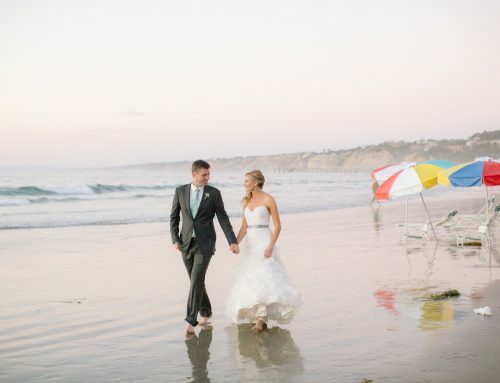 Once the bridal party took their images, the newlyweds headed down to the beach. Then, it was time to celebrate! Organic Elements did a beautiful job with all of the decor. Allison and Pat, thank you so much for everything! It was a pleasure getting to know you and I wish you all the best!